Drake has broken the Spotify record for the biggest opening day streams with a new album. Post Malone held the previous record with 78.7 million plays on his Beerbongs & Bentleys project, but Scorpion ended up having a huge total of 132 million streams on June 29th. 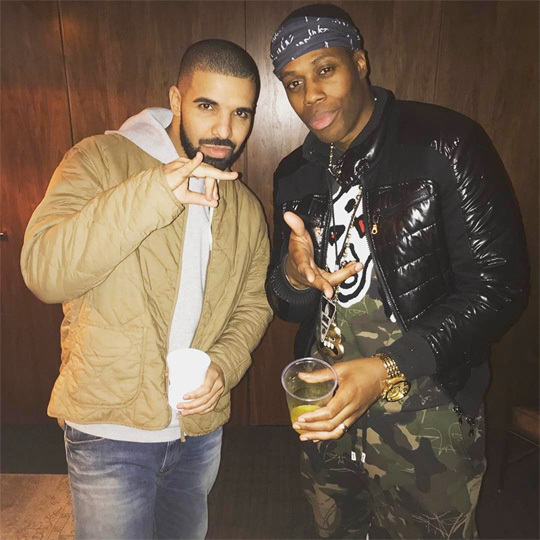 The 6 God‘s “Nonstop” song also had 9.3 million plays worldwide on the first day of Scorpion being released, which has broken another Spotify record for the biggest opening day streams with a new track. J. Cole previously held this record. On the day of Scorpion being released, the music platform even tweeted that the album was being streamed more than 10 million times per hour, which means it looks like Drizzy will be on track to break Post Malone’s first-week streaming record of 431.3 million plays. Crazy! After going No. 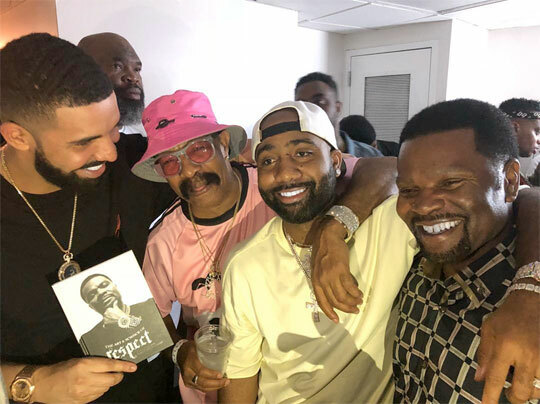 1 with “God’s Plan“ and breaking records with the first 24-hour streams, Drake has broke yet another record. 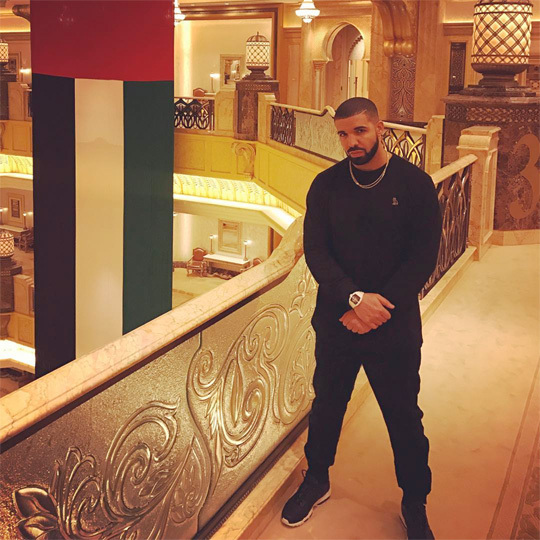 Drizzy‘s “Diplomatic Immunity” song, which also appears on his Scary Hours EP along with “God’s Plan“, debuted at No. 7 on Billboard’s “Hot 100” chart. This means that the 6 God is now the first ever music artist to have 2 tracks debut in the top 10 of the “Hot 100” at the same time, so a big congratulations is in order to him on this amazing achievement! In related news, Drizzy Drake has also surpassed JAY Z for having the most “Hot 100” top 10 appearances among rappers. JAY previously held the record with 21 entries and now Drake has a total of 22 entries after his 2 new entries. 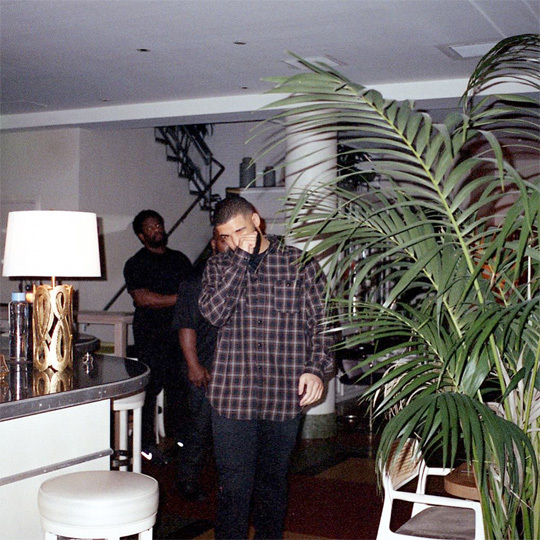 Drake‘s “God’s Plan” song, which can be found on his Scary Hours EP, has debuted No. 1 on Billboard’s “Hot 100” chart. This track that was produced by Boi-1da, Yung Exclusive and Cardo is Drizzy‘s second ever No. 1 on “Hot 100” as a lead artist (“One Dance” was his first). It is also his fourth overall following Rihanna’s “Work” and “What’s My Name?” singles that both feature him. Drizzy Drake‘s “God’s Plan” record was also streamed a huge amount of 14 million times in 24 hours on Apple Music, which of course broke the record for most plays in a single-day worldwide. It even broke the same record on Spotify. Congratulations to the 6 God on this amazing accomplishment! Yesterday, Drake broke a new record by taking home 13 awards at the 2017 Billboard Music Awards. Adele held the record previously with winning 12 awards back in 2012. 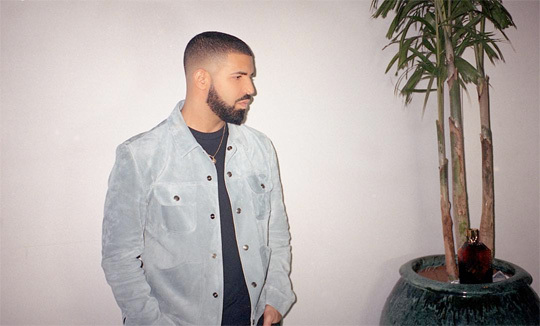 Out of his 22 nominations, Drizzy won awards in the categories: “Top Billboard 200 Artist”, “Top Hot 100 Artist”, “Top Song Sales Artist”, “Top Streaming Songs Artist”, “Top Rap Artist”, “Top Rap Album”, “Top Rap Tour”, “Top Streaming Song (Audio)”, “Top R&B Song”, “Top R&B Collaboration”, “Top Male Artist”, “Top Billboard 200 Album”, and “Top Artist”. You can see Drizzy Drake accepting 3 of his awards in clips after the jump below. 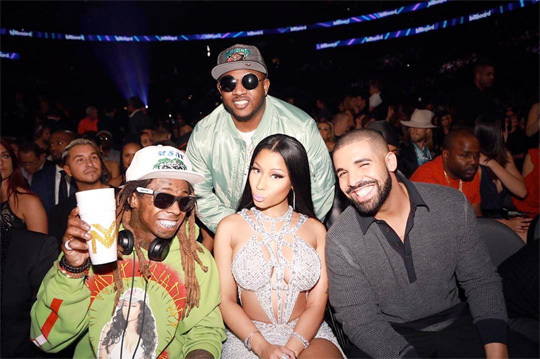 When accepting the “Top Artist” award, the 6 God brought up his Young Money label-mates on stage with him! 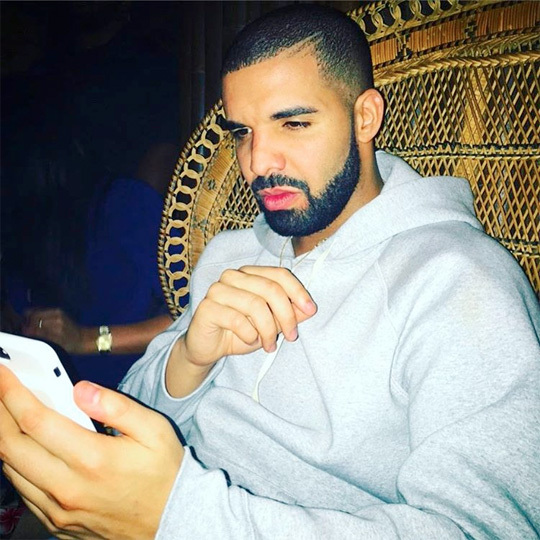 We found out Drake broke Spotify’s most streams in 24 hours record with his More Life playlist yesterday, and now he has broken the same record on another streaming service – Apple Music. According to The Verge, Drizzy‘s new project was played around 89.9 million times on Apple Music in the first day of it being released. Just yesterday, it was announced that Drake had broke a Spotify record to become the very first music artist to hit 10 billion streams, and now today it has been revealed he has broken another record on the streaming service. According to the streaming service, Drizzy‘s More Life playlist was played around 61.3 million times in the first 24 hours, which has broken the previous one day streams record set by Ed Sheeran and his Divide album that had 56.7 million plays in the first day. Congratulations to the 6 God on this amazing achievement! Drake won a total of four awards at the 2016 American Music Awards, which took place last Sunday (November 20th) in Los Angeles. Out of 13 nominations, Drizzy took home awards in the categories: “Favorite Album – Rap/Hip-Hop” for Views, “Favorite Artist – Rap/Hip-Hop”, “Favorite Song – Rap/Hip-Hop” for “Hotline Bling“, and “Favorite Song – Soul/R&B” for Rihanna’s “Work“. If you can recall, the 6 God also broke a record at this year’s AMAs by surpassing Michael Jackson’s 11 nomination record back in 1984!